Maine’s Republican governor signed a law earlier this week that temporarily blocks public access to records related to concealed carry permits in the state. Gov. 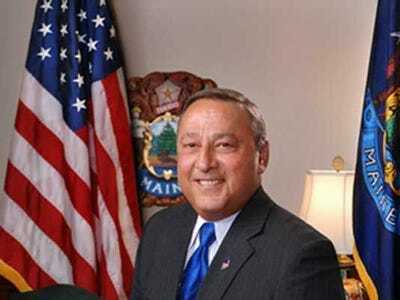 Paul LePage signed the law after the state Senate unanimously voted for the emergency measure and the state’s House passed the law in a 129-11 vote, the Portland Press Herald reported Tuesday. LePage signed the law after The Bangor Daily News submitted a public records request for information on all concealed carry gun owners in the state, The Huffington Post reported Wednesday. The Bangor Daily News has since withdrawn its request, announcing in an editorial that it never intended to publish permit holders’ personal information and chastising legislators for their reaction to the request. The is the first time the records have been shielded from public records laws since 1985, according to the Herald. The entire controversy is reminiscent of similar problems in New York. The Journal News in Westchester, N.Y. published a map showing the names and addresses of licensed gun owners in Westchester and Rockland counties. New York politicians immediately fought back against the newspaper and passed a new law that amended state public records laws to protect gun owners from being publicly identified.